The Friends of Minesing Wetlands are excited to announce that we will be leading trips into the Minesing Wetlands via canoe or kayak on April 28th and May 12! To register for the events please contact our events team by email (fomwevents@gmail.com). In your email please include the following information for each participant: full name, email, phone number and type of watercraft (kayak vs canoe) you will be joining us in. Please note that we only take 12 guest boats per trip, so register early to reserve your spot! The exact route will be chosen at the discretion of the leaders based on water levels, as well as wind direction and speed. Final trip details such as route, locations to put in and take out boats will be emailed to participants on the Wednesday before the trip. Regardless of the trip route we will meet at 8:30 a.m. and the trip will take approximately 5 hours, as this is approximately an 18 km paddle. There is a maximum of 12 boats per trip which is reflected in the amount of tickets available. Due to the 12-boat limit, we have to estimate the amount of tickets for each watercraft type. As a result, we have made less kayak tickets available. At least a basic paddling know how is required for this trip. Participants are expected to bring their own vessel, equipped with all of the required safety equipment (life jackets, bailer, whistle, light and throw rope). We do not rent equipment however if you need a vessel (kayak or canoe) there are at least three local providers you can contact. Contact fomwevents@gmail.com if you require the contact information for local outfitters. There is a minimum age requirement of 14 years of age to join the trip. Fee is $25 per person. This includes safe passage with certified leaders and ecological interpretation of the Minesing Wetlands. Categories: Canoe, Paddle, Tour, Trip | Tags: adventure, canoe, canoe trip, kayak, Minesing Wetlands, paddle | Permalink. Another year of outreach and education from the Friends of Minesing Wetlands. As usual we were very busy. Thanks to all our members and partners for another successful year! Categories: AGM, Canoe, Education and Outreach, Friends, Paddle, Photography, Volunteer opportunity | Tags: adventure, conservation, curling, Mayers Marsh, Ontario Nature, photos, road cleanup, volunteer, year end | Permalink. The Friends of Minesing Wetlands are excited to announce two dates when we will be leading trips into the Minesing Wetlands via canoe or kayak! April 23rd and May 7th. This will reserve a spot for yourself and anyone accompanying you. We only take 12 guest boats per trip. We will meet at 8:30 a.m. (at the latest) at the Willow Creek Canoe Coral on George Johnson Road (County Road 28) in Springwater Township. This should give us enough time to off-load our canoes and shuttle our cars to the end destination which is approximately 10 minutes away. Hopefully this will be done quickly so that we can get on the water for 9 a.m. The trip will take approximately 5 hours. Dress appropriately for the weather conditions of the day, which should include high cut boots or rubber boots for possible portages. Also, bring extra clothing in case you get wet. Bring your own warm drinks, snacks for along the way, and a packed lunch for our break around noon. At least a basic paddling knowhow is required for this trip. All boats must be equipped with the required safety equipment (lifejackets, bailer, whistle, light and throw rope). We do not rent equipment however if you need a boat there are at least three local providers you can contact. The cost for joining us is $40 for non-members and $20 for members. This includes safe passage with certified leaders and ecological interpretation of the Minesing Wetlands. Categories: Canoe, Friends, Membership, Paddle, Tour, Trip, Wetland Ecology | Tags: adventure, canoe, ecology, FOMW, freshet, kayak, Minesing Wetlands, paddle | Permalink. The Friends of Minesing Wetlands are excited to announce two dates when we will be leading trips into the Minesing Wetlands via canoe or kayak! April 18th and May 9th. This will reserve a spot for yourself and anyone accompanying you. We only take 20 boats per trip. We will meet at 8:30 a.m. (at the latest) at the Willow Creek Canoe Coral on George Johnson Road (County Road 28) in Springwater Township. This should give us enough time to off-load our canoes and shuttle our cars to the end destination, which is approximately 10 minutes away. Hopefully this will be done quickly so that we can get on the water for 9 a.m. The trip will take approximately 5 hours. At least a basic paddling knowhow is required for this trip. All boats must be equipped with the required safety equipment (lifejackets, bailer, whistle, light and throw rope). We do not rent equipment, however if you need a boat there are at least three local providers you can contact. The cost for joining us is $40 for non-members and $20 for members. This includes safe passage with certified leaders and ecological interpretation of the Minesing Wetlands. 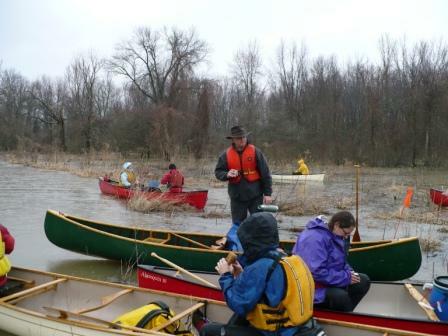 Categories: Canoe, Education and Outreach, Friends, Paddle, Photography, Science, Tour, Wetland Ecology | Tags: adventure, canoe, canoe trip, FOMW, Minesing Wetlands, nottawasaga river, willow creek | Permalink. 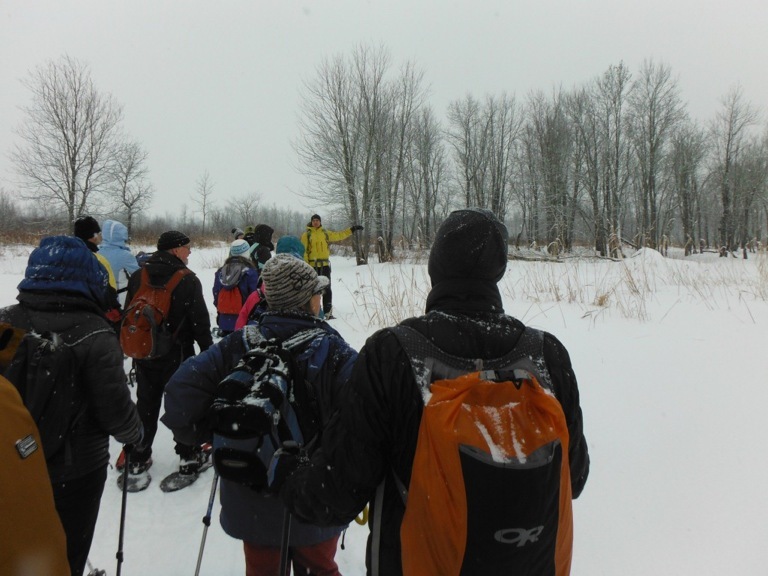 Join the Friends of Minesing Wetlands for a winter adventure in the Minesing Wetlands! We will lead a snowshoe on February 28 to the Mad River heronry. See “Eventbrite” link below for directions to the meeting point. Snacks, water, warm drinks and warm clothing are essential. The snowshoe will take approximately 3 hours, which includes breaks for historical and ecological interpretation. Departure time is 9:30 a.m. Please register for the events with the links below. $10 for members, $15 for non-members, $5 student. Categories: Tour | Tags: adventure, Common Hackberry, FOMW, Minesing Wetlands, Seed Collection, snowshoe, x-country ski | Permalink. All trips depart from the Willow Creek Canoe Coral on George Johnson Road (County Road 28) and will take approximately 5 hours. Dress appropriately for the conditions of the day, which should include high cut boots for possible portages. Bring your own warm drinks, water, and snacks for the go – as well as a packed lunch for our break around noon. At least a basic paddling know-how is required for this trip and ensure that you bring the required safety equipment for your boat (life jacket, bailer, throw rope, whistle, flashlight). We can arrange for the rental of canoes and life jackets if needed. The cost is $40 for non-members and $20 for members. This includes safe passage with certified leaders and ecological interpretation of the Minesing Wetlands. 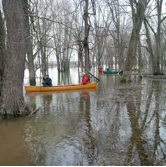 Categories: Paddle, Photography, Tour, Wetland Ecology | Tags: adventure, birds, canoe, ecology, kayak, Minesing Wetlands, nottawasaga river, paddle, photography, spring melt, willow creek | Permalink.